Bring a contemporary style and long-term sophistication into your living space with this lovely, Made in America chair. With Gallery Furniture's famous, same-day delivery, you can start getting the support and comfort you need TODAY! This Texas-sized chair offers extreme comfort and is built to last! Because it does not disassemble - Gallery Furniture recommends you double check that there is enough room for delivery through doors and hallways! 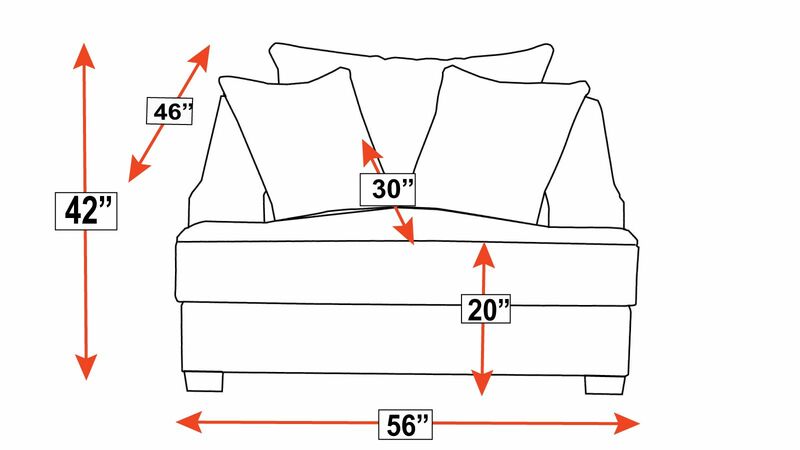 Ask our amazing furniture experts about this product's dimensions TODAY! A contemporary design will give your home a stylish look. 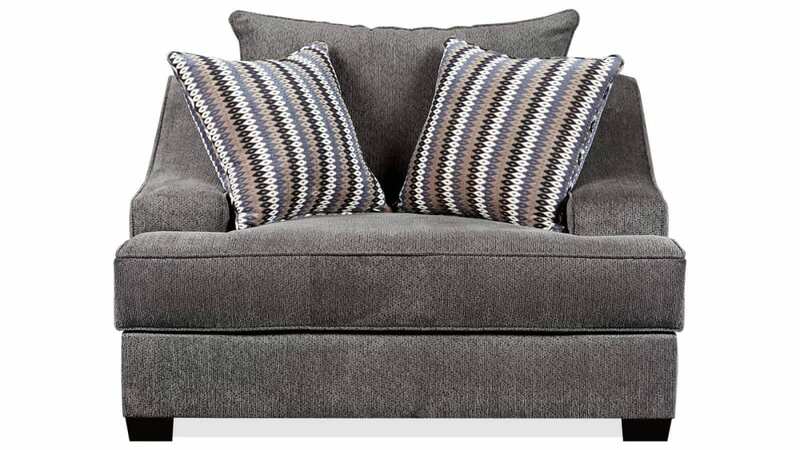 Perfect for your busy family, the chenille upholstery is cozy, durable, and long-lasting.